I've completed all the Book Awards Challenges that Michelle has hosted, I can't stop now. from January 1 through November 1, 2010. 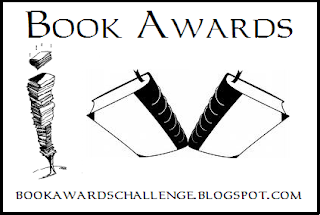 Sign-up at the Book Awards Reading Challenge blog, there are lists of all the prizes and winning books there for reference. This time, read 10 books from 10 different awards during January 1, 2010 through November 1, 2010. Yikes. We'll see how that goes. This is just an idea list of prizes and books, actual content may vary. I hadn't realized that this is starting today. I'm writing a post right now! Great list. I picked my books out last July for this one! This was way too challenging for me, I'm skipping it... Good luck to you, your list looks great!